$1.6 billion will go to the Mack Avenue Engine complex to convert the site into a manufacturing facility for the next-generation Jeep Grand Cherokee and an all-new three-row full-size Jeep SUV. This will create 3,850 new jobs. $900 million will go to Jefferson North for retooling and modernization for production of the Dodge Durango and next generation Jeep Grand Cherokee. This will create 1,100 jobs. The investment into Warren Truck increases to $1.5 Billion for the production of the Jeep Wagoneer and Grand Wagoneer, plus continued production of the Ram 1500 Classic. This will create 1,400 new jobs. In addition to the plant investments, FCA has announced that future Jeep products will be electrified. All three facilities will be able to produce plug-in hybrid versions with fully electric model capability in the future. February 26, 2019 , London - Fiat Chrysler Automobiles N.V. (NYSE: FCAU / MTA: FCA) confirmed today plans to invest a total of $4.5 billion in five of its existing Michigan plants, and to work with the city of Detroit and state of Michigan on building a new assembly plant within city limits. The move would increase capacity to meet growing demand for its Jeep® and Ram brands, including production of two new Jeep-branded white space products, as well as electrified models. The proposed projects would create nearly 6,500 new jobs. Very cool, good news especially for those that might loose jobs from Ford or GM, maybe they can get a job at FCA. Good news for the Motor City, good news for Jeep. That's great news... did I miss the news about Chrysler? Are they really a 1-vehicle show (I don't consider the dead 300 or the fact that they have the Pacifica and Pacifica plug-in as 2 vehicles) or is something else coming? No, this is all Jeep/Ram/Dodge news for now. I don't see it, will there be a next generation Durango? It sounds like one of the Jeeps will take over the Durango spot. No mention of a next-generation Durango yet. This is concerning. I'm reading this and wondering where the new Journey is, where the new Durango is... FCA needs to keep these models, as they are not Jeeps, meaning, a Jeep should not be covering the same customer as a Journey or a Durango customer. The Dodge customers want a people mover with AWD capability, but gritty, street style. Those are not Jeep attributes and should not be. A Jeep should remain outdoor themed. Pretty sure the Durango will be hanging around for a while. The Five Year plan from last year indicated a 3 row Grand Cherokee was coming (whether it will be badged as a GC or something else is unknown), distinct from the full sized Wagoneer & Grand Wagoneer. I don't recall anything specific in the slides regarding Dodge SUVs, but I've seen speculation on Allpar that the next Durango would be a full sizer on the same Ram-based platform as the Wagoneer/Grand Wagoneer. Time will tell. Durango FAILED as a full size SUV. They need to keep it in the size it is and if they want a full size SUV for Dodge, then bring out something New like you said based on the Full size RAM Wagoneer or what ever Jeep calls it. The Durango has never been a full size SUV.... what are you talking about? 2004 to 2009 Second Generation Durango that my nephew had for a few years and got rid of as it was a problem line, but was based on the full size Ram pickup boxed frame unlike the first generation and third generation Durangos. 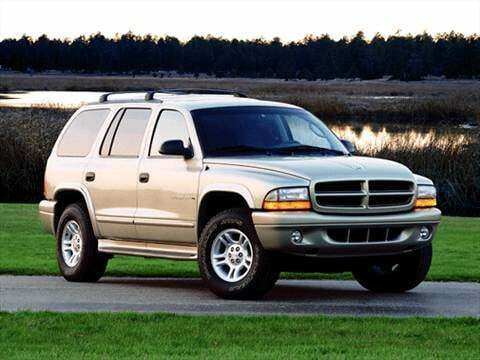 My understanding and from what I see on the web is my Daughters 99 Durango is based on the same boxed frame as the Dakota, but for the second generation Durango / Aspen SUV they built it off the Ram frame as the SUV became 7 inches longer, 2 inches wider and 3 inches taller due to the Ram underpinnings. I admit I could be wrong but that was my understanding. Generation 2 was a full size and did not do as well as Generation 1 as to why Gen 3 went back to the same formula as Gen 1. No it wasn't. It was based on the midsize Dakota platform. Durango Gen 1 and Gen 2 were both based on the midsize Dakota is my understanding (Dakota Gen 2 and Gen 3), Durango Gen 3 is based on the WK2 Grand Cherokee. Durango Gen 2 was painfully ugly in the front, IMO..almost minivanish in it's lumpen shape. To confuse matters, Wikipedia says the 3rd gen Dakota and 2nd Gen Durango were 'now similar to the Ram' as far as the frame....also says" Like the Dakota, it (2nd gen Durango) has much in common with the large Dodge Ram pickup". The 2nd gen Durangos and 3rd gen Dakotas seem to have all disappeared..haven't seen any in ages. 1st gen Durangos and 1st & 2nd gen Dakotas have presumably rusted away here. Much appreciate the clarity Drew. The larger size seemed to be a move to full size, but weird to know it was still Dakota based even though it was noticeably bigger than Gen 1. I do like the Gen 3 Durangos. @Robert Hall I agree that the Gen 2 and 3 of the Dakota are like MIA around here and yet you see a ton of Gen 1 Dakotas still. Clearly Dodge lost their way with Gen 2 Durango's and Gen 2 & 3 Dakota's. I will say that the V8 engine in Gen 2 Dakota's is a nightmare. My sister had one and unloaded it as it was just one thing after another breaking. Once out of warranty, not worth keeping it.